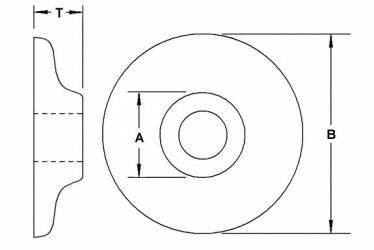 Ogee refers to the curved shape of this large, cast iron washer which is typically used in dock and wood construction. 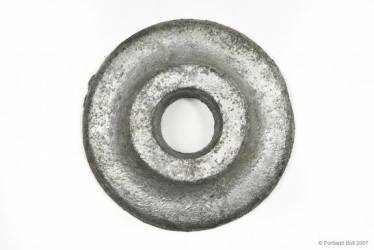 These oversized washers have a large bearing surface designed to prevent bolt heads and nuts from pulling into the wood. ASTM A48 covers Gray Iron Castings, including ogee washers.